The M1, Dual Mono Masterpiece.. The Special Edition M1 builds on the success of the Classic M1 and adds some of the improvements offered in the new flagship Limited Edition Gold M1. Presented in the classic anodized black and aluminum finish, the M1 Special Edition incorporates Stillpoints feet that are engineered and optimized exclusively for the design. The added stability improves isolation from vibration which translates to a more transparent sonic presentation. Point-to-point wiring, a labor intensive process, improves signal flow by eliminating various connectors which can degrade a signals performance. Finally, the next generation power improvements have been incorporated in this edition to further improve filtering of unwanted noise and power ripple. First incorporated for the M12 Dual Mono Source Controller, The Bricasti network interface and media renderer option allows any M1 to be seen as a DLNA device on an audio network and server as an audio device to play or stream to through a wired connection on your network. Now you can run wired data longer distances without loss in quality so your network server can go anywhere you choose. Newly engineered feet with Stillpoints for improved isolation. DSD, DSD64 and DSD128 playback. Features the latest generation asynchronous USB interface. Highly acclaimed, proprietary filter technology. Extremely low jitter @ 6 picoseconds. Supports sample rates of up to 352.8kHz and 24 bits. Minimum and linear phase filters. The M1 remote control provides full control of the M1 and is now a standard feature of the M1. 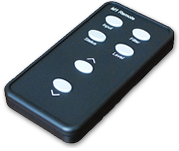 The M1 remote is also available as an upgrade kit to be added to any M1.